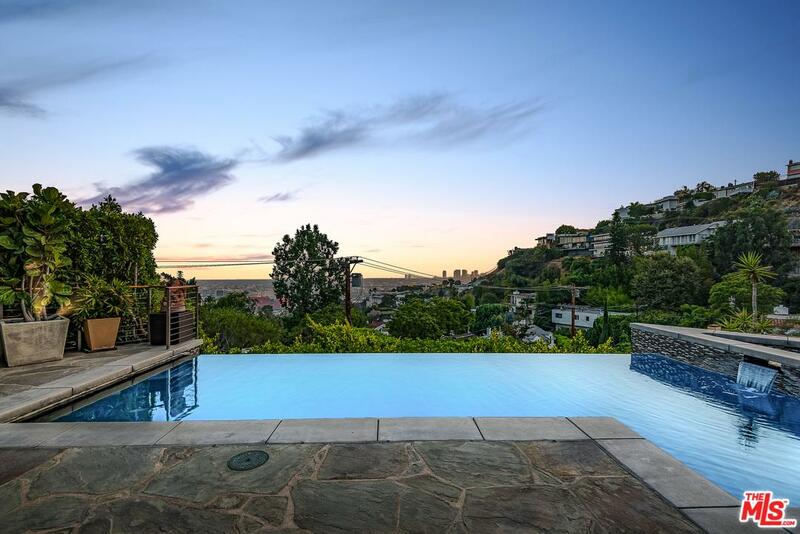 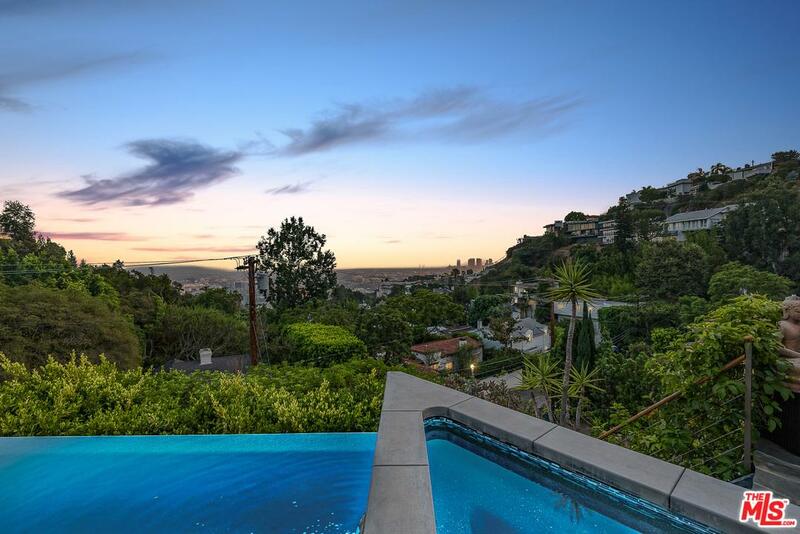 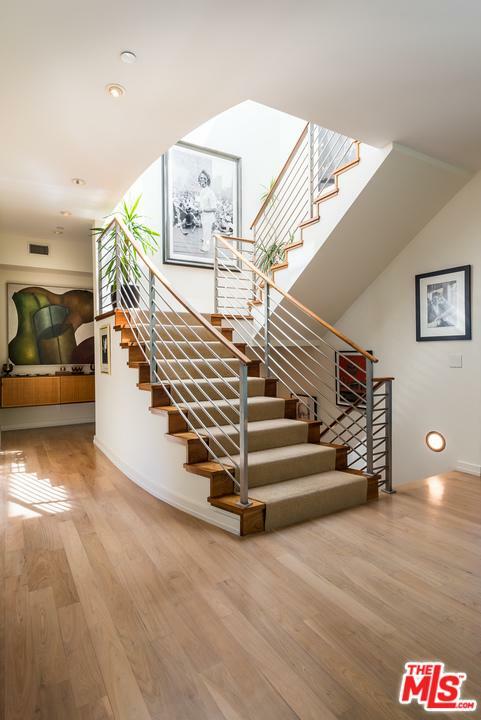 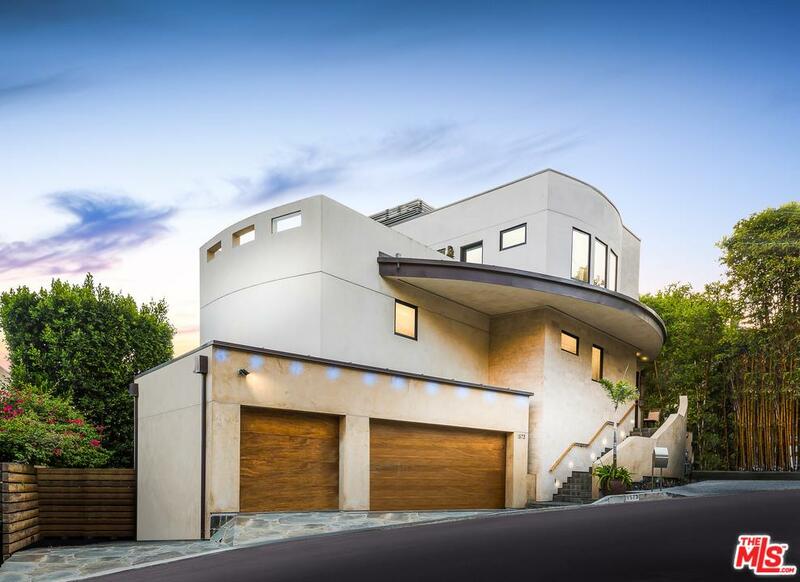 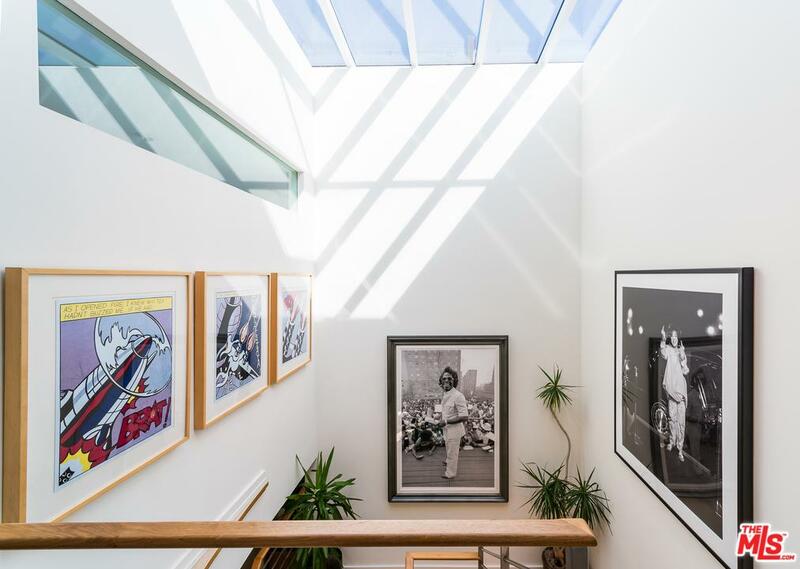 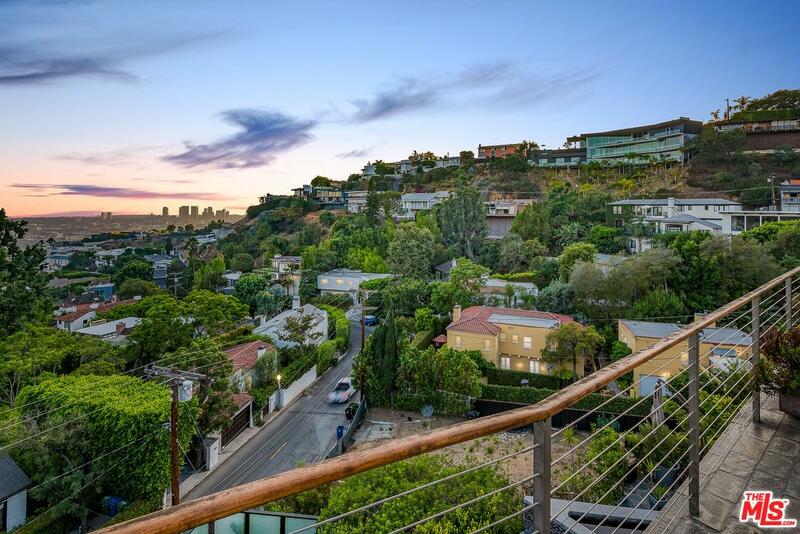 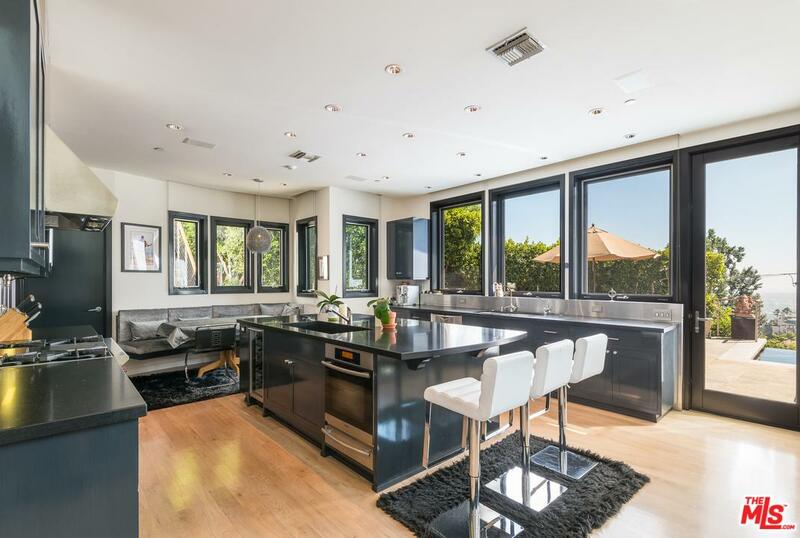 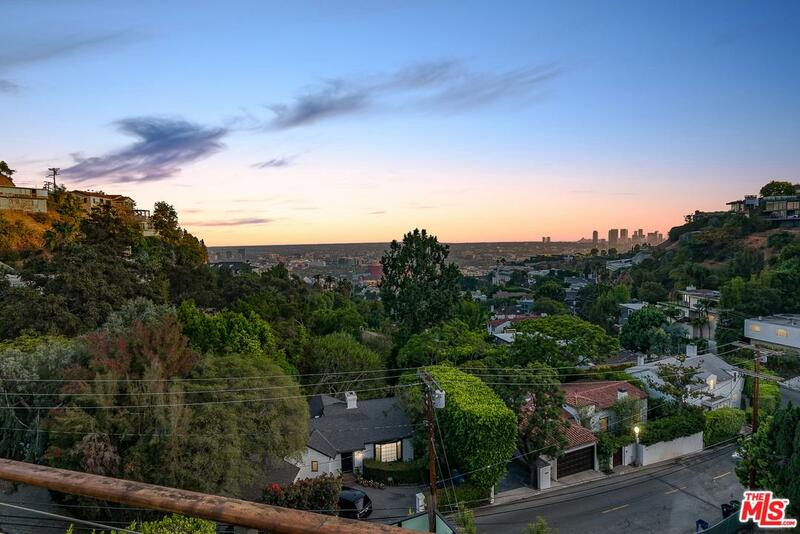 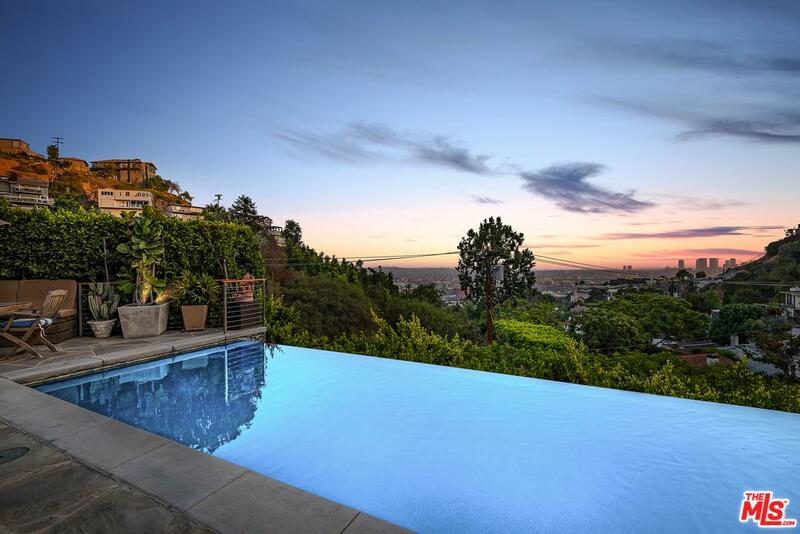 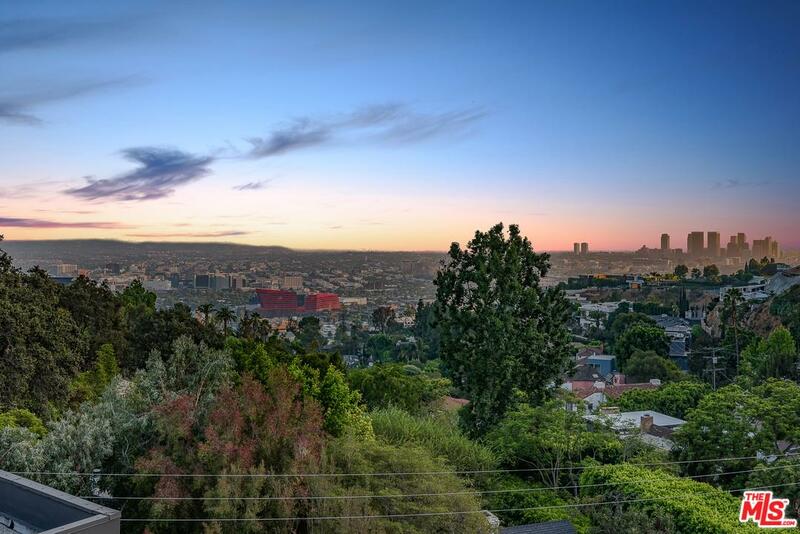 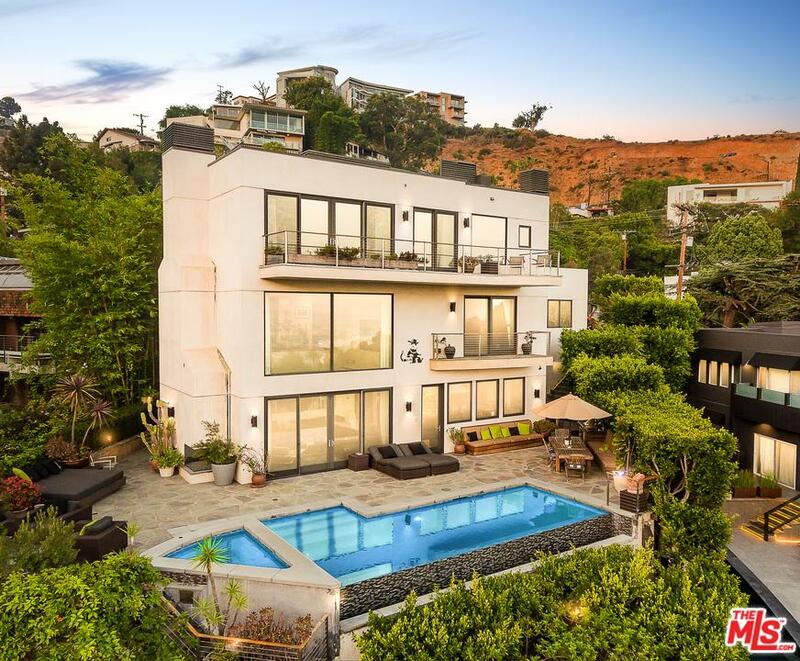 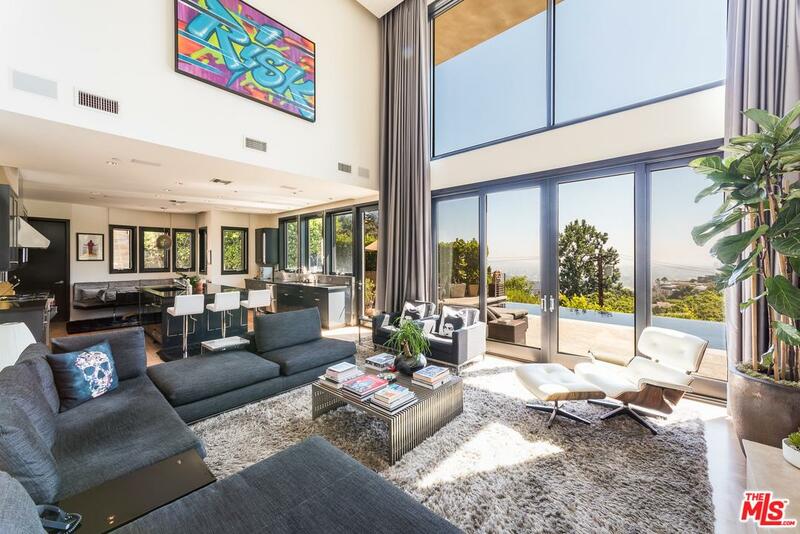 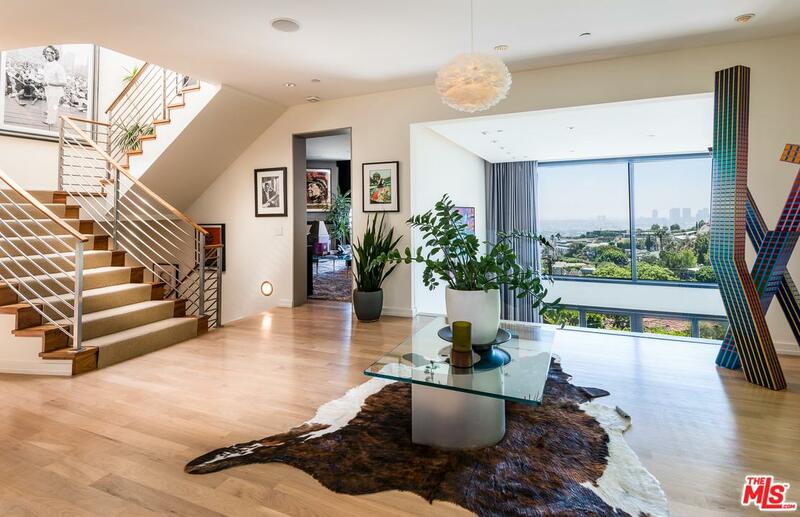 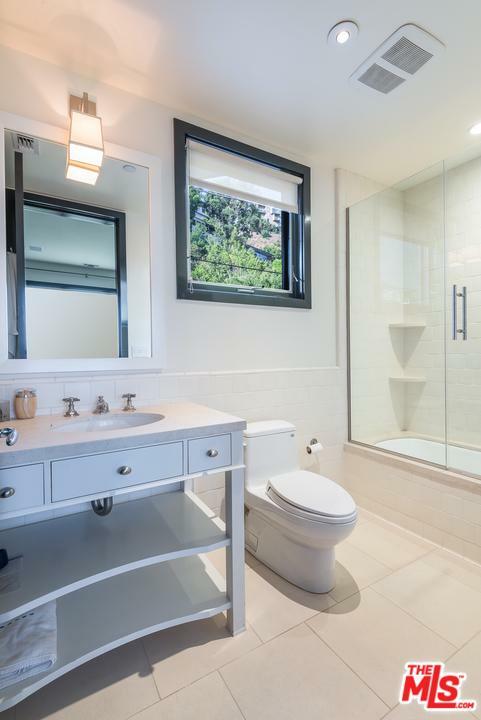 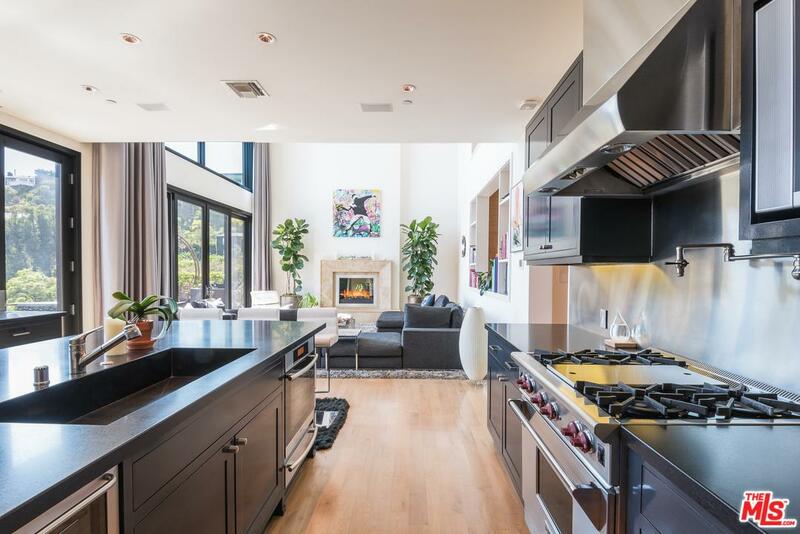 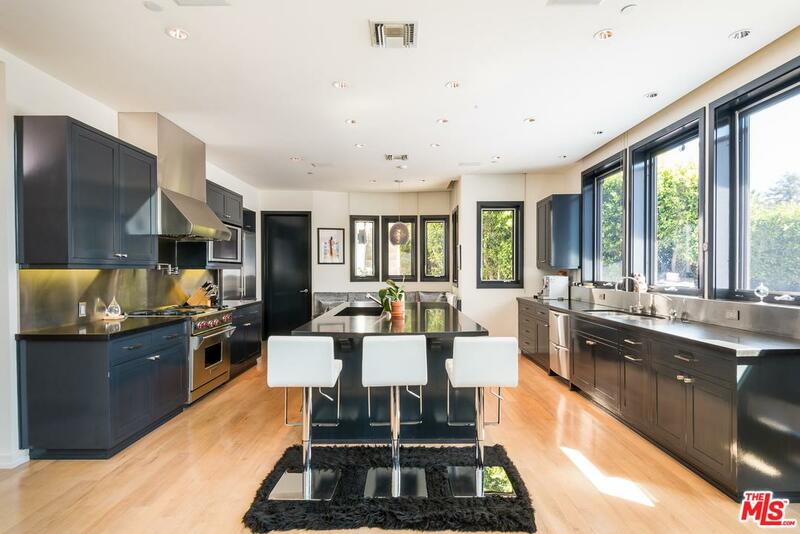 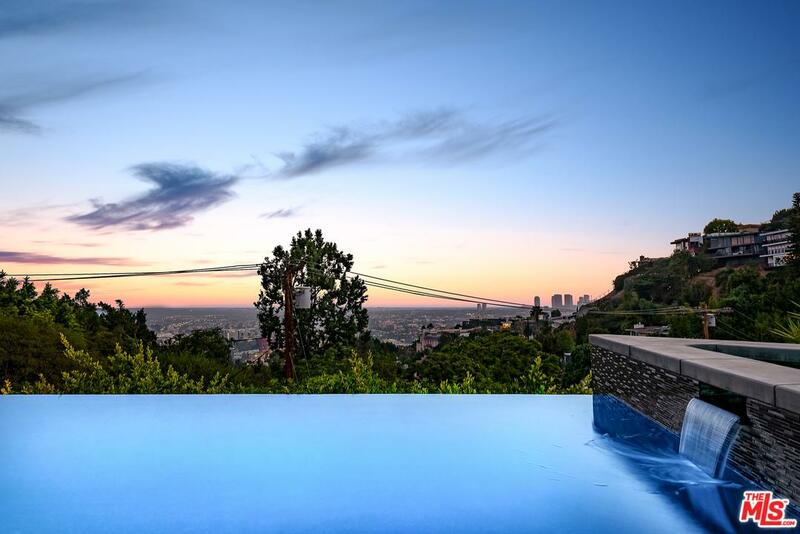 Ultra modern custom-compound w/breathtaking city views nestled above the Sunset Strip. 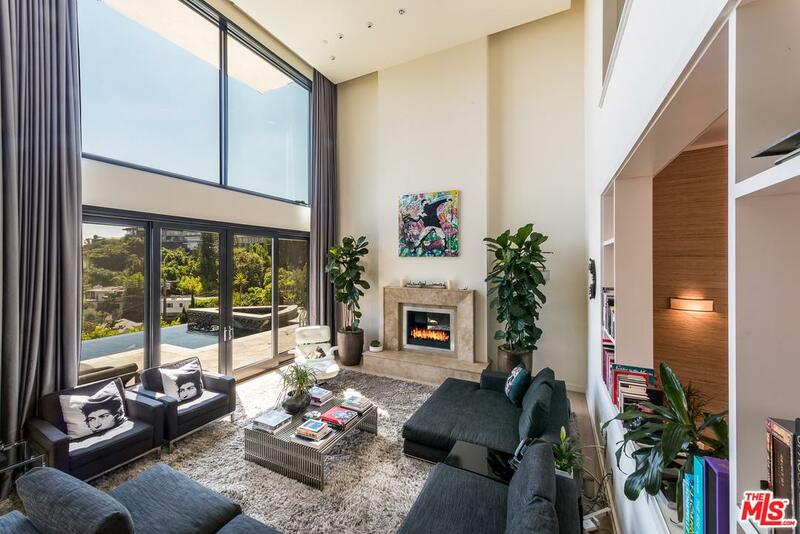 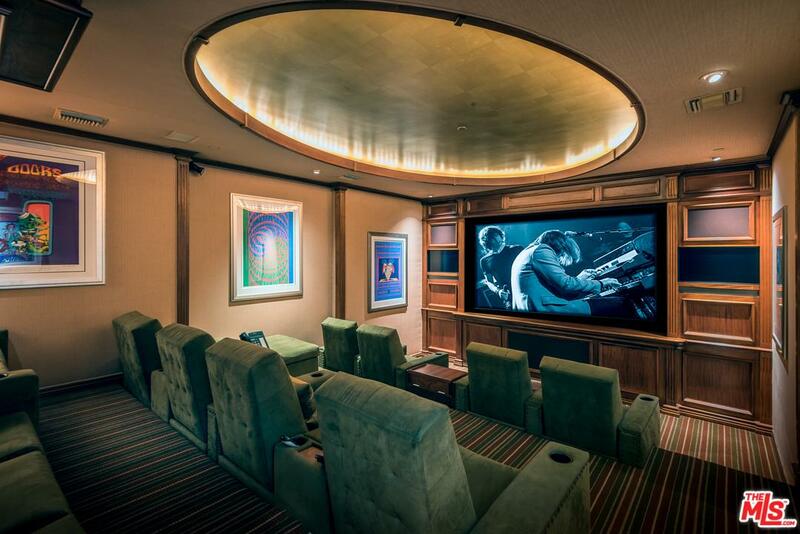 Smart house w/Crestron thru-out has formal entry leading to great room w/30-foot ceilings showcasing the south facing views. 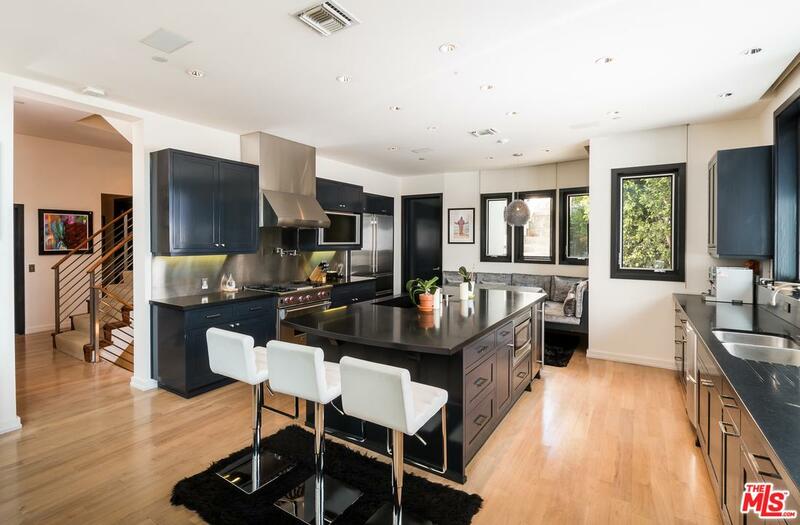 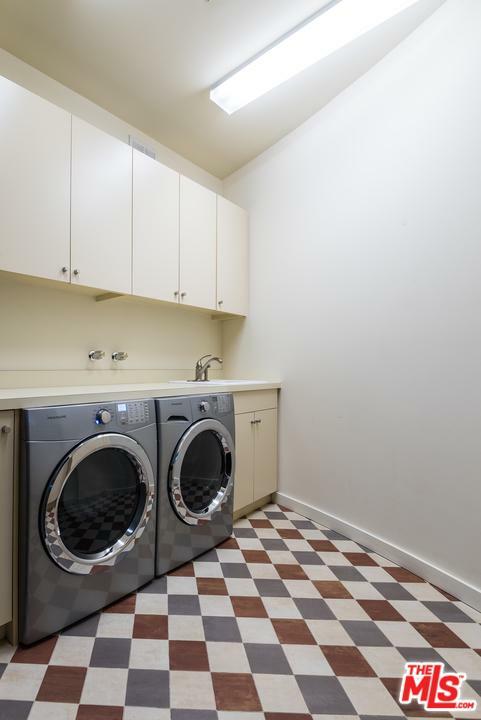 Open kitchen w/dual refrigerators, sinks, wine fridge & breakfast area! 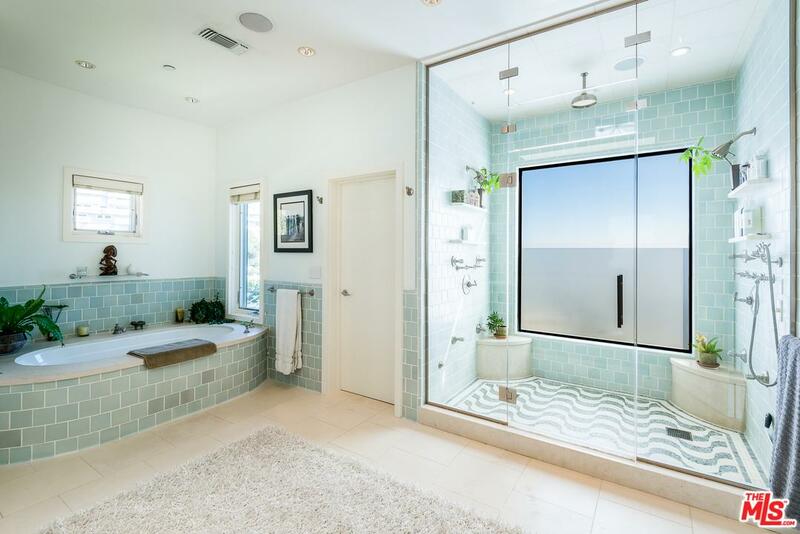 Great room leads you outside where you will find a salt-water infinity pool/spa w/cooling misters. 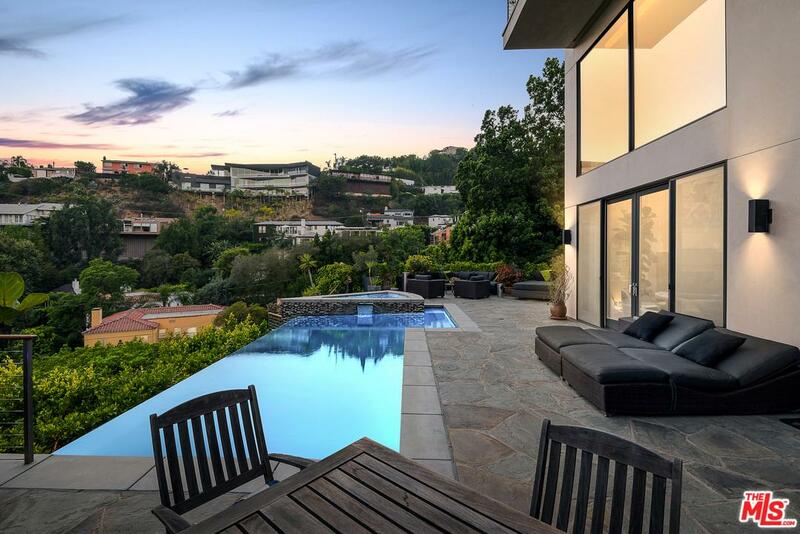 Patio offers outdoor dining, lounge & fireplace. 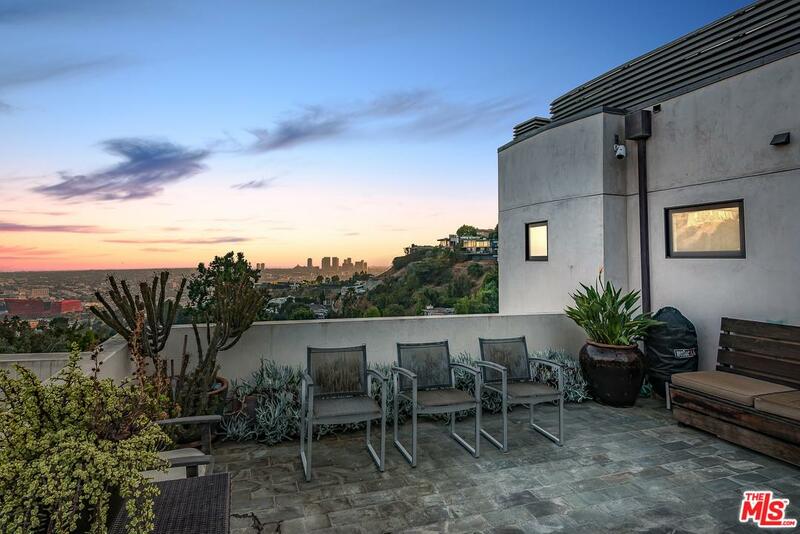 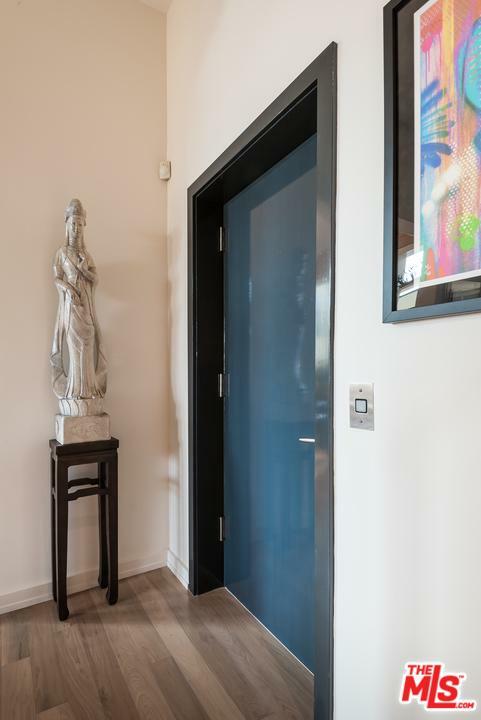 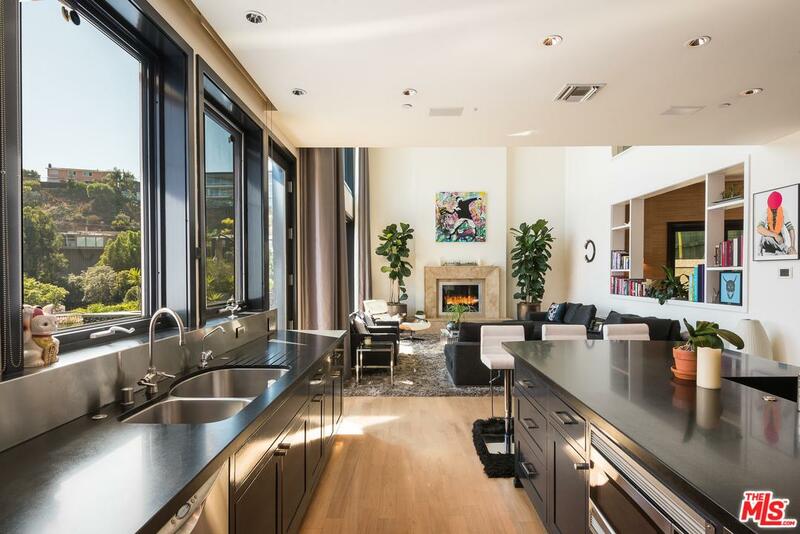 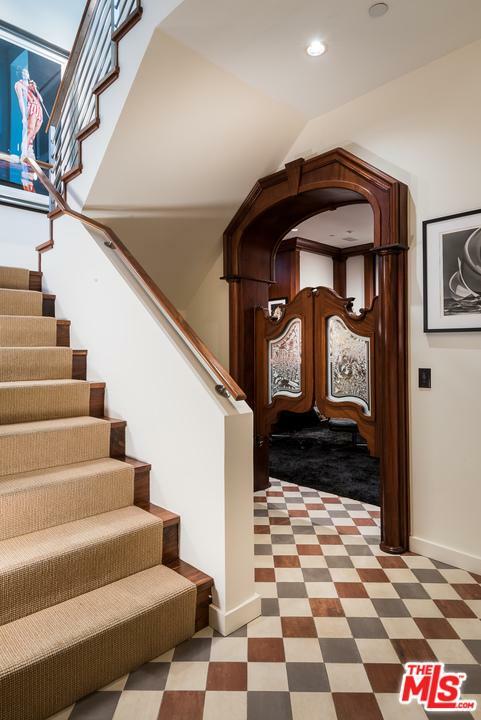 Take the stairs or elevator to the master suite that has private balcony, jetliner views, fireplace, walk-in closet, master bath w/heated floors, dual sinks, spa tub & a shower that overlooks the city. 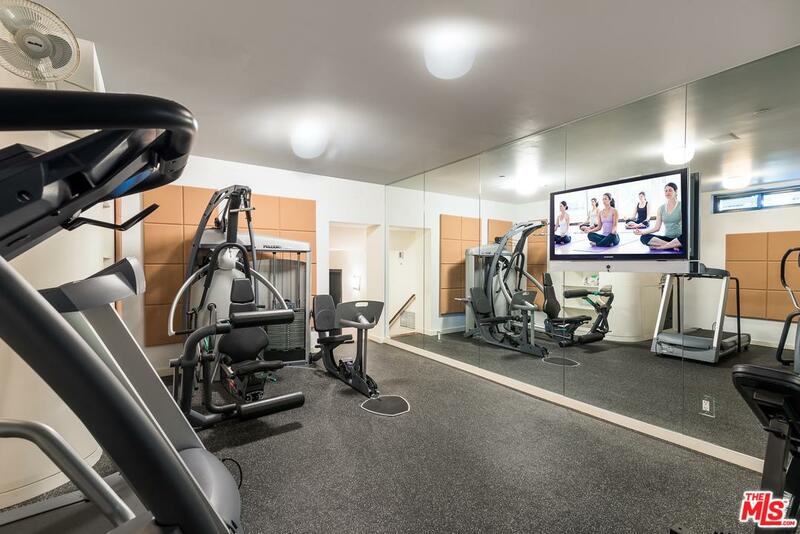 Entertainment at bottom level includes a custom mahogany bar with crispy cold ones on tap, 3 screen movie theater with additional tv's in the bar and washroom so you don't miss a beat, and an amazing gym completely updated along with massage table and heavy bag. 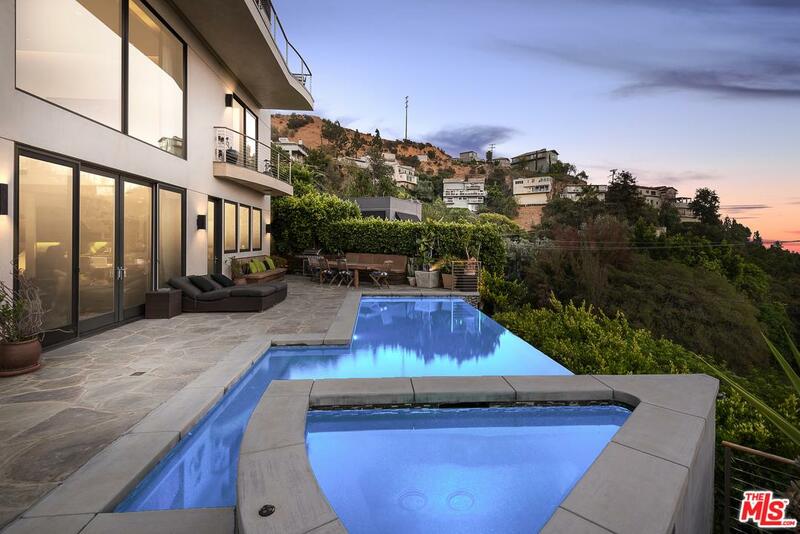 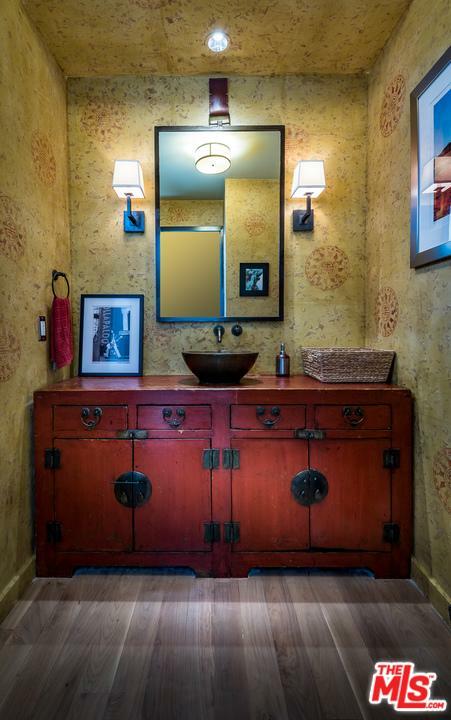 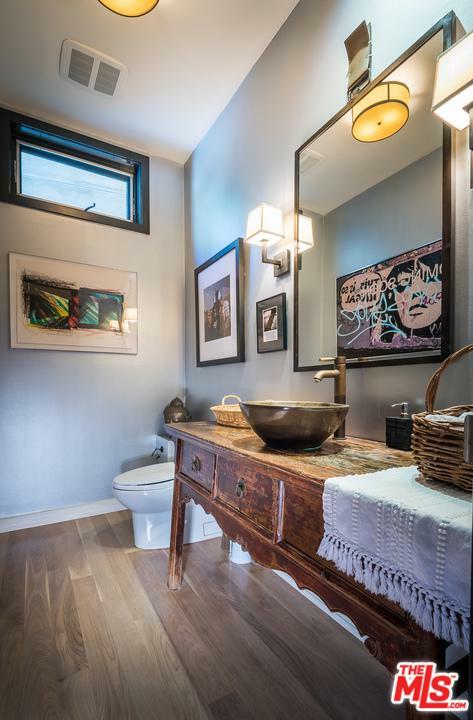 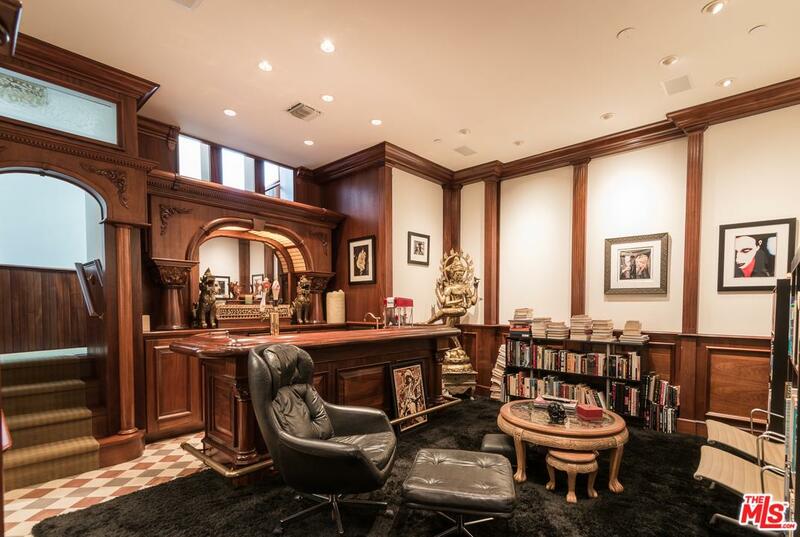 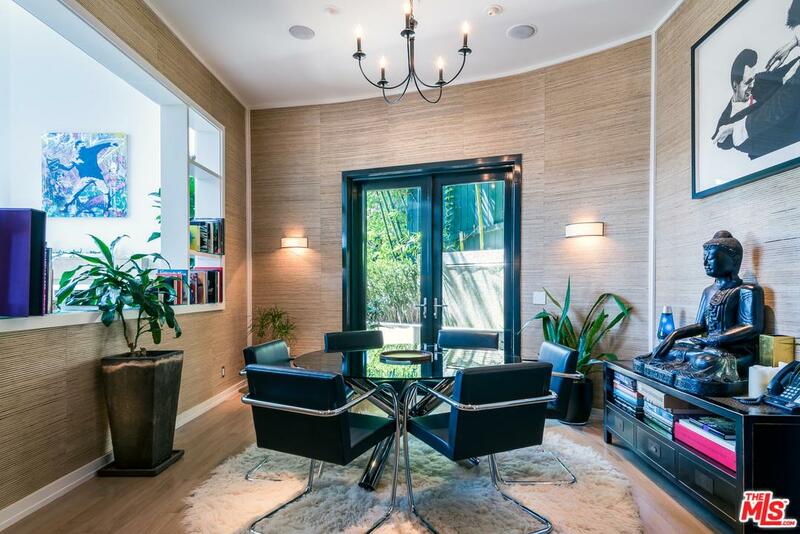 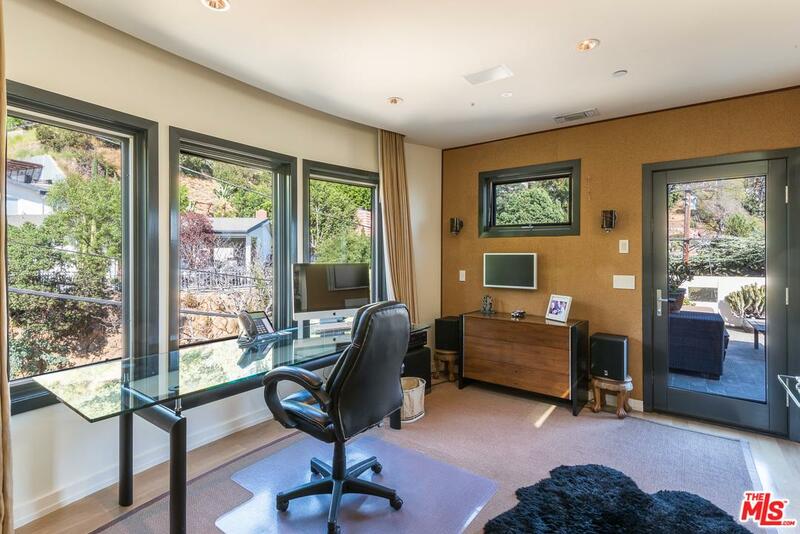 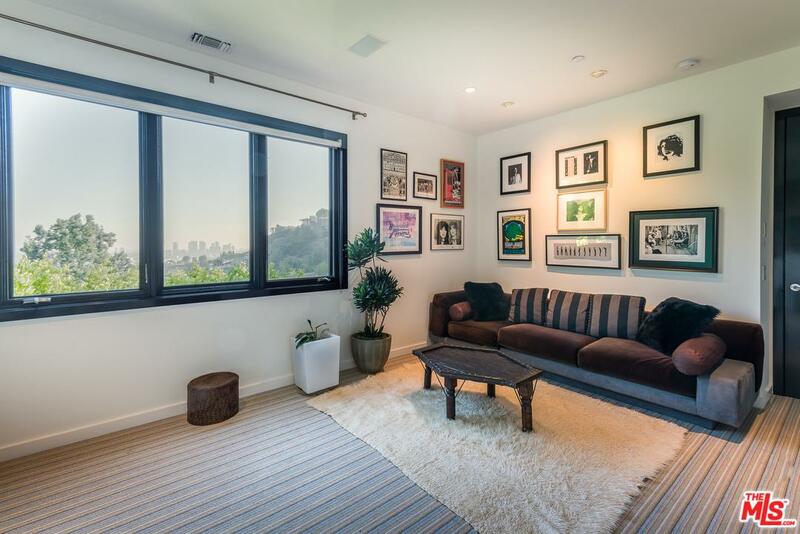 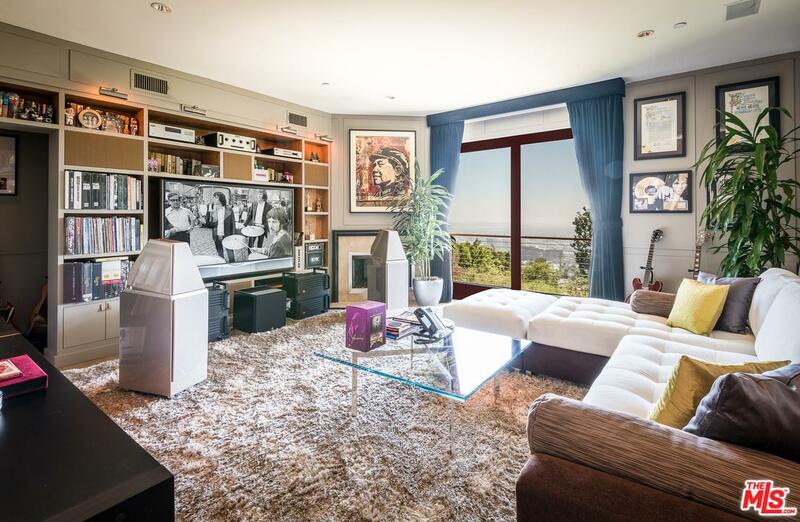 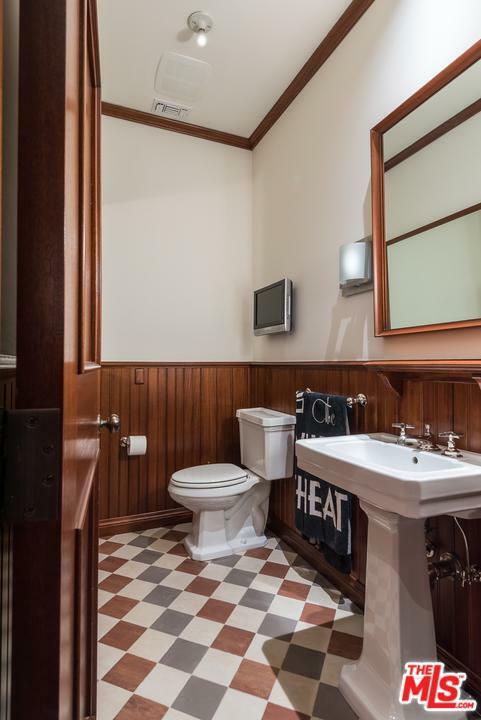 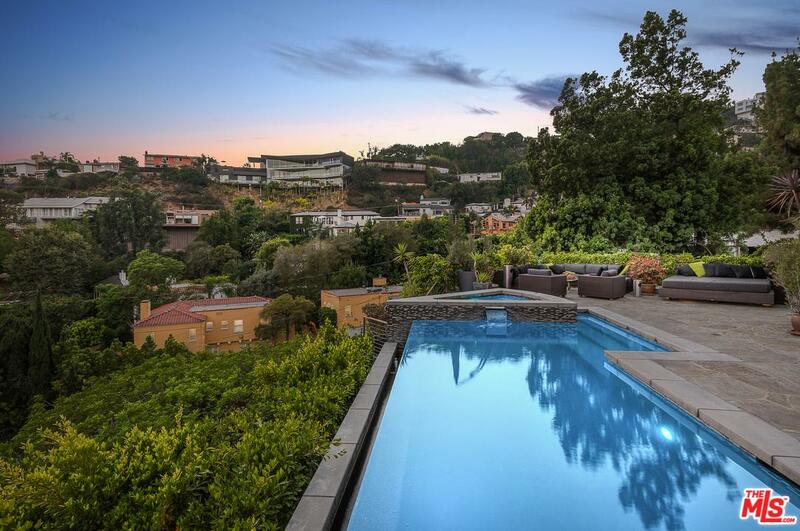 All the ingredients needed for luxury loving in the Hollywood Hills!